As a turbulent snowstorm whips across the vast, desolate Mongolian grasslands, a group of schoolchildren huddle over laptops, their eyes transfixed as the sagacious Sal Khanworks through Newtonian physics. But Khan is only reaching these kids because of a bold initiative from another creative edupreneur: Neil Dsouza, age 27, cofounder of TeachAClass.org, a San Francisco-based nonprofit dedicated to enabling access to education in developing countries. Dsouza was previously an engineer at Cisco, where he helped develop the first 4G core routers for AT&T and eventually Verizon’s mobile network. Technology is starting to become a waste in developing countries. Plenty of people have tried to tackle education in remote areas. The One Laptop Per Child (OLPC) project, for instance, has shipped millions of laptops to impoverished corners of the world. The impact has been faint, however, leading OLPC founder Nicholas Negroponte to recently propose a more radical approach: dropping tablets from helicopters to remote villages, “then go[ing] back a year later to see if the kids can read,” he has declared. But to those already on the ground, the idea of indiscriminately flinging equipment from the air and hoping for a positive educational outcome seems like a recipe for waste. 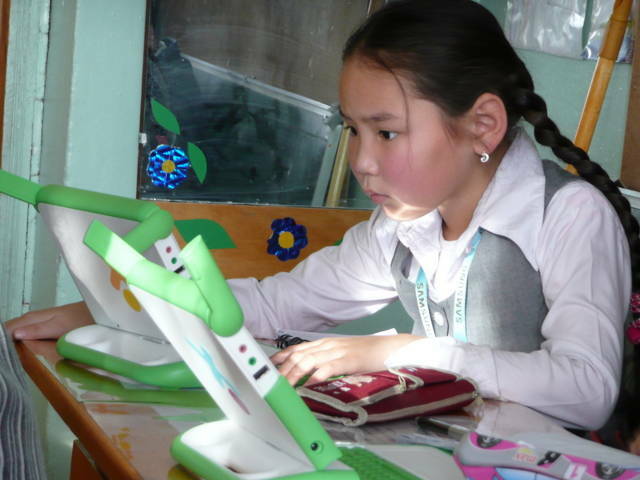 OLPC has already donated over 7,000 laptops to Mongolia. When Dsouza arrived, he found many collecting dust on shelves. Some have not even seen the light of day, still unopened in shrink-wrapped boxes. It’s not just due to misguided strategies like airlifting hardware, either, Dsouza says. Too many Western-driven programs have neglected to take into account geographical limitations and cultural differences–whether it’s failing to realize the lack of basic IT infrastructure in developing countries, or assuming that everyone naturally understands the potential and use of computing devices. Haunted by memories of piles of unused laptops, Dsouza devised an ingenious plan: Bring a chunk of the Internet’s offerings to Mongolia. He packages content from Khan Academy, MIT open courseware, and other resources into portable, self-contained servers that can be wirelessly accessed by laptops and computers. These servers, which cost roughly $350 apiece, are small enough to fit in a backpack and need only a power outlet to boot up. Other laptops need only wireless capability and a browser that supports Flash to log on. What this creates, in essence, is a local intranet network–what Dsouza has dubbed an “Education Hotspot”–that allows users to access materials hosted on the server, even in areas so remote that Internet is either outrageously expensive or non-existent. Here’s how Dsouza is distributing his technology: TeachAClass.org has a tiny team of three in San Francisco that collects free content from the web, then taps volunteers around the world to translate the material into local languages. These materials are then copied onto the backpack servers, which get delivered to local coordinators in developing countries. These coordinators–so far 12 Peace Corps volunteers in remote regions–work with teachers in schools and orphanages to set up the “Hotspots.” Content on the servers can be regularly updated via CDs or USB sticks. The project is still very much in its infancy. So far Dsouza has deployed three Hotspots in Ulaanbaatar, two in the Uvurkhangai province of Mongolia, and one in Takengon, Indonesia–all together serving orphanages that house around 300 children. He plans to set up six more in schools in Mongolia’s Hovd province in the next few months. Next year, Dsouza also hopes to get pilot programs established elsewhere, too, including Sri Lanka, Bangladesh, and Egypt. In India, Dsouza also has plans underway to see how well the Hotspots work with the much-publicized $35 Aakash tablets, which the government has promised to provide to rural schools. Considerable obstacles exist. Getting buy-in from local officials and educators is not always easy; some can be outright hostile to outsider advisers. But Dsouza has made sure to involve local teachers at every step of his project, providing them with the training required to effectively harness the potential of the Hotspots. It’s opened their eyes and given them a stake, he says, to the point where local teachers are taking ownership of the projects. And then there’s the matter of funding. So far, Dsouza been bootstrapping this venture largely on his own, something he admits is unsustainable. He has considered returning to a day job to resuscitate his finances or reaching out to investors and VCs to turn the Hotspots into a viable business, despite his initial intentions to make this a nonprofit project. But buzz around these Hotspots is–excuse the pun–starting to heat up. Dsouza has given talks at TEDxUlaanbaatar and the Global Education Conference. Earlier this year, he was awarded runner-up at the Houghton Mifflin Harcourt Global Education Challenge. Even the World Bank sees potential, having allocated a small sum ($3,200) to pilot this project–not for orphans and students, but nomads and herders, who will use the Hotspots to access information relevant to their day-to-day activities and improve their knowledge on production and supply. From EdSurge, Tony Wan, Nov 15, 2013. Talk about a true case of the little guy cleaning up the big guy’s mess. For the past two years, Zaya co-founder and CEO Neil D’Souza has triumphed over astonishing odds in his mission to deliver digital educational resources to developing regions. He’s piped digital books to nomadic herders in remote Mongolia and Khan Academy videos to orphanages in Indonesia. Now his sights are set on India, beginning with his hometown, Mumbai. But first he must overcome the pessimism in the wake of the muddle created by Educomp, India’s largest edtech company. “There’s a lot of skepticism in India about education technology. Teachers and schools has seen so many attempts fail in the last eight, ten years,” says D’Souza. He’s determined to make a difference. In January 2012, D’Souza, a former Cisco engineer, set up his headquarter in Mumbai to implement and scale affordable blended learning labs in schools and tutoring centers. All the equipment required fits neatly in a backpack. For roughly $3,000, the ZayaLabKit comes with Aakash tablets, earphones, speakers, a projector, a battery pack and most importantly, the ClassCloud, the server that delivers learning content, assessments, and a learning management system to the tablets in a local intranet network. But educators, entrepreneurs and investors in India have learned that technology doesn’t always deliver results. This was the case for Educomp, the country’s largest provider of hardware and digital technologies for schools. In 2003, it introduced the Smart Classsolution, a package of interactive whiteboards and digital resources installed in over 14,000 schools around the country. In April 2013, Forbes India uncovered serious problems underlying this rapid growth. Among them: the company committed large capital investments upfront by installing whiteboards and other hardware that went unused. Many never paid for support and services. Without this revenue, the companydefaulted on paying some employees for months and recently let go of 3,500. This downsizing meant that some paying customers received lackluster service, and 200 of them recently filed a lawsuit against the company. By contrast, D’Souza believes that building real change in India’s education system will take long and patient work. For the past two years, he’s been living that principle as he prototyped his mobile “Education Hotspots” in rural regions to prove the technology could deliver Khan Academy videos where little or no Internet infrastructure existed. His experiences taught him that proper training was just as crucial as the technology itself. His customers are chosen carefully to ensure that teachers are willing to adopt not just new technology, but even new ways of teaching and managing a classroom. Every Zaya teacher undergoes a multi-day orientation on properly setting up and managing the ZayaLabKit and also learn about blended learning models in U.S. schools like KIPP and Rocketship. Weekly check-ins from company staff provide ongoing support. Zaya currently runs ten labs: Six are set up in schools run by Teach for India in Mumbai and Pune, three are after-school programs in the suburbs outside Mumbai, and one is on the second floor of the Zaya office. Each lab operates on a rotational model where students split time between peer-to-peer group work, interacting with the teacher and working on tablets. Altogether, the labs serve about 600 students. It’s a far cry from the thousands of schools where Educomp hoped to operate. But even with this modest number, Zaya believes it can do one thing that other Indian edtech companies have neglected: show improvements in students’ learning gains. The Zaya tablets come with assessments that periodically measures students’ math and reading skills. 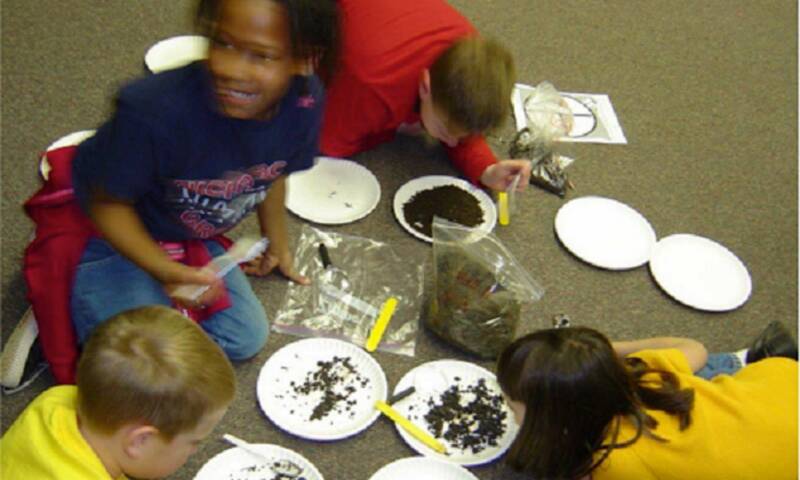 Based on their performance, the system assigns them to different learning tracks (below, at, or above grade level) where they receive instruction based on their needs. As students work through the 600+ math lessons and books from companies like CK12 Braingenie andMangoReader, progress and performance are tracked and analyzed. It’s still early days and initial results won’t be available until the end of the year. The goal for 2014 is to have 30 labs around the country, a number that D’Souza believes will offer a large enough sample size to measure aggregate learning outcomes. “Our team [of 15] is well aware that it will take some time for us to prove holistic change. We will grow at a more careful pace while collecting data and refining our process,” says D’Souza. In the meantime, financial sustainability is an issue for Zaya. So far, parents of students in the after-school labs pay 150-200 Rupees (U.S. $2 to $3) per month, and the company charges schools $2,000 per year for in-school labs. It’s currently not enough to cover operational costs, which D’Souza says can be as high as $10,000 a year for each lab. He’s reached out to local companies, investors and philanthropists for support, and so far has eight sponsors pledged for 2014. Patience from investors is a rare quality indeed. But given what happened to India’s biggest and fast-growing edtech company, getting real learning results may well be worth the wait. TORONTO, Nov. 15, 2013 /CNW/ – Pearson, the world’s leading learning company, today announces a series of unique commitments designed to measure and increase its impact on learning outcomes around the world. Promised to develop a global research network to gather the evidence needed on the “path to efficacy”, and openly to share and broker debate around its findings. The company’s ambition is to ensure that its work is driven by an ever-clearer understanding of how it can maximise and measure its impact on learning outcomes, drawing on the lessons of the healthcare industry to invest in research and development and build new partnerships that will address the most pressing unmet needs in education. Identifying dialogue and collaboration with the wider education community as crucial to accelerate progress, Pearson also publishes two reports. The first, Asking More: The Path to Efficacy, sets out the imperative for measuring and improving learning outcomes worldwide. The second, The Incomplete Guide to Delivering Learning Outcomes, shares in detail the company’s new approach to contributing to that goal and the progress it has made so far. Also published today is The Incomplete Guide to Delivering Learning Outcomes. Authored by Sir Michael Barber, Pearson’s Chief Education Advisor, and Saad Rizvi, Senior Vice President, Efficacy, the report shares Pearson’s “Efficacy Framework”, a Review process designed to evaluate and improve impact on learning outcomes, and sets out the company’s strategy, initiatives and insights in applying it. “Pearson’s purpose is to help people make progress in their lives through learning. So, we better be sure that we can demonstrate that progress, in all we do, in a meaningful way. “Education is so linked to the wellbeing of individuals and of the economy that we need much more rigorous systems in place to ensure it is working, urgently. Thanks to the growing body of research and data, and the opportunity of technology, achieving efficacy in education is not only as pressing, but now just as possible as in healthcare. 1. Asking More: The Path to Efficacy, is edited by Sir Michael Barber and Saad Rizvi and features contributions from nine global experts, setting out the progress which can be made through a renewed focus on outcomes. Geoff Mulgan highlights measureable impact as the emerging acid test for consumers and investors; IBM’s Jon Iwata on the huge potential to analyse Big Data to answer unaddressed questions and support real-time learning decisions; Vicky Colbert sharing her experience of building an outcomes oriented approach from ground up; and Professor Michael Crow on the role of technology in combining high quality educational experiences with wide access. 2. The Incomplete Guide to Delivering Learning Outcomes is authored by Sir Michael Barber and Saad Rizvi, with a foreword from former Pearson CEO Marjorie Scardino and an introduction from John Fallon, CEO of Pearson. 3. The ‘Efficacy Framework’ scores across four areas considered critical to securing outcomes1. An interactive framework version was published today on a new website for feedback from the education community at http://efficacy.pearson.com. Reviews recommend how products can improve learner outcomes, for example by using data analytics, digital technology or by applying research insights. Pearson are now using the approach to determine how they invest and acquire, to drive innovation, product development and a new research agenda, and their recruitment, professional development and rewards for employees. 4. Pearson has also begun to build a new online research platform to provide a global bank of evidence on best practices in education. Open Ideas, a new website, has been created to make the latest evidence and ideas in education accessible to all, and to encourage an open debate about learning. It will be launched in ‘beta’ in the first quarter of 2014 at URLhttp://research.pearson.com. Pearson is the world’s leading learning company, serving learners of all ages with educational resources, services, software and assessments. We operate in more than 70 countries around the world, employing more than 40,000 people and serving the school, higher education and professional education markets with a commitment to measure and improve learning outcomes. Our resources are available in print, online and through multilingual packages that help people learn whatever and wherever they choose. Pearson’s businesses also include financial information through the Financial Times and consumer publishing through Penguin Random House. For more information on Pearson, visit www.pearsoncanada.ca.